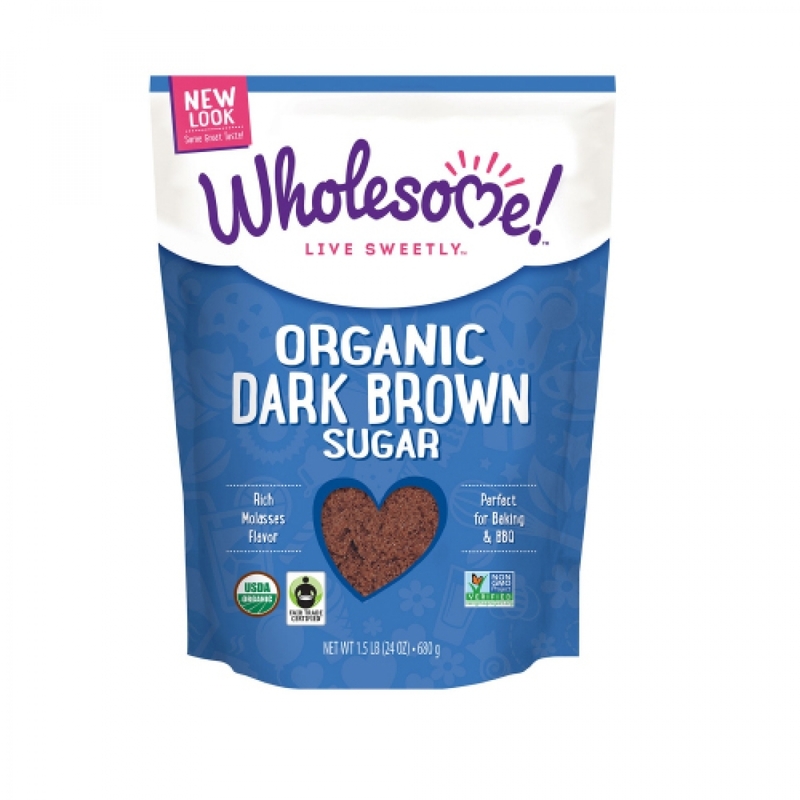 For deep, rich flavors, try Wholesome Organic Dark Brown Sugar. It is a soft, moist sugar that blends easily and is perfect for baking, brownies, gingerbread and rich gooey chocolate cakes. Seal tightly after opening. Do not refrigerate. If sugar gets hard, pour in bowl, cover with a wet towel and leave overnight. Fluff with fork and use or reseal. Wholesome Sweeteners are committed to organic and stay on the cutting edge of eco-friendly agriculture to ensure the smallest footprint possible. They are dedicated to Fair Trade and partner with caring farming families across the globe. Their partners are guaranteed a fair price so they can treat their loved ones well.